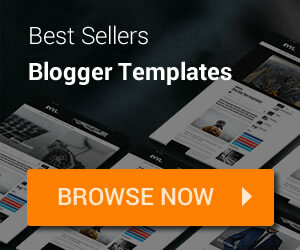 Blogger label is used to group many of posts into a group. 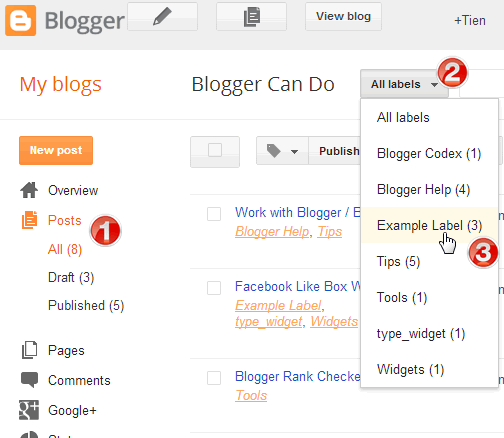 This feature of Blogger allows your visitors can follow your topics easily. When a viewer clicks on a link to one of the Labels on your site, he or she is taken to a page listing the Posts in that particular Label in order: newest Posts at the top to oldest at the bottom. 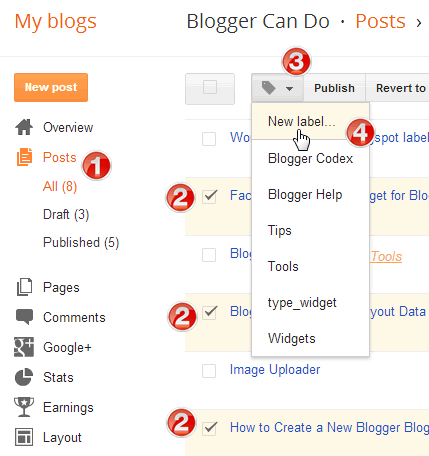 In this article, I will explain many basic thing about Blogger / Blogspot label. When you edit a post, you can see Labels option at the right side. Just click on it and input your labels separate by commas then press Done. 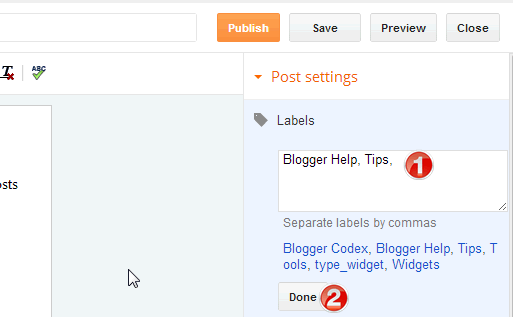 If you want to add label for many posts as a time, you need to access your blog dashboard at Posts menu. Then check into check-boxes before title of posts that you want to add new label (or check the checkbox near tag icon to select all posts). 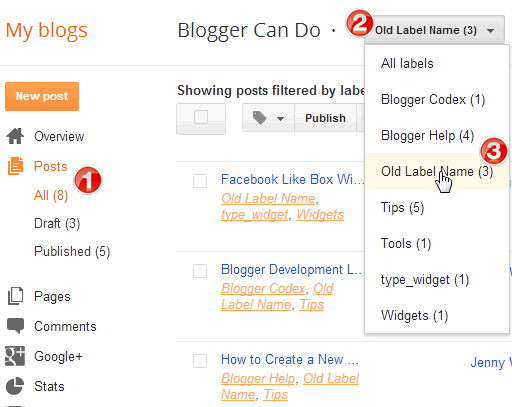 Now, click tag icon and choose New label… then enter your new label name and click OK. 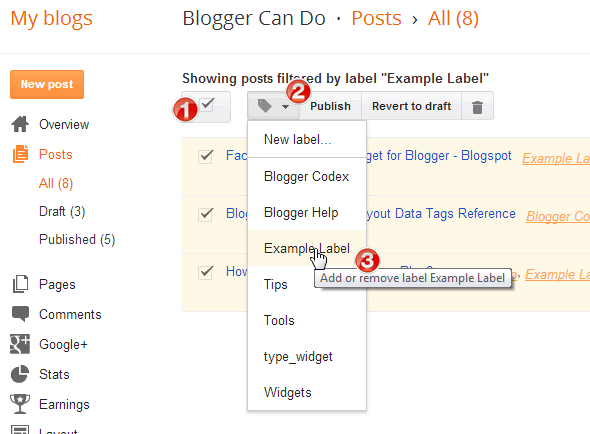 If you not click New label… but click an already label name instead, Blogger will assign that label to the posts that you selected (if some selected posts had already that label name, Blogger will remove the label out of those posts). If you want to delete a label from all of posts, you just access Posts menu, and at the All labels dropdown list, choose the label name that you want to delete to filter posts for that label only. Now, check the checkbox near the tag icon, then click the tag icon and choose the label name that you want to delete again. If after remove the label, you still see it on your site, mean may be your site has too many posts for that label. Just reload Posts admin page and do similar above steps again and again to complete remove the label. 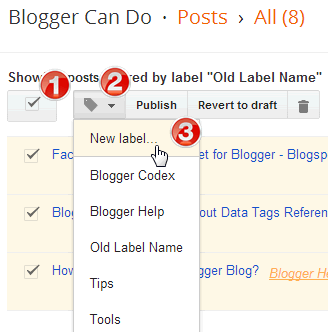 Blogger not support rename label so to rename a label from its posts, you need to add a new label name to all posts of old label and then delete the old label. To add a new label name to all of posts of old label name, access Posts menu, choose the old label name from All labels dropdown menu. Now check the checkbox near tag icon and then click tag icon to select New Label… function. Input your new label name and OK.
Last, delete the old label name from all of its posts.